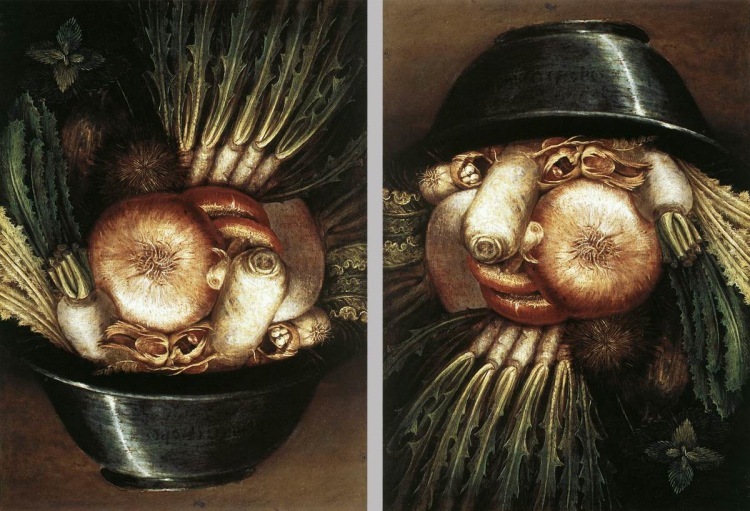 Before all surrealism, impressionism and allegories which came up at the contemporaneous art, there was, during the 16th century, an Italian artist who painted on a way really far ahead of his time. 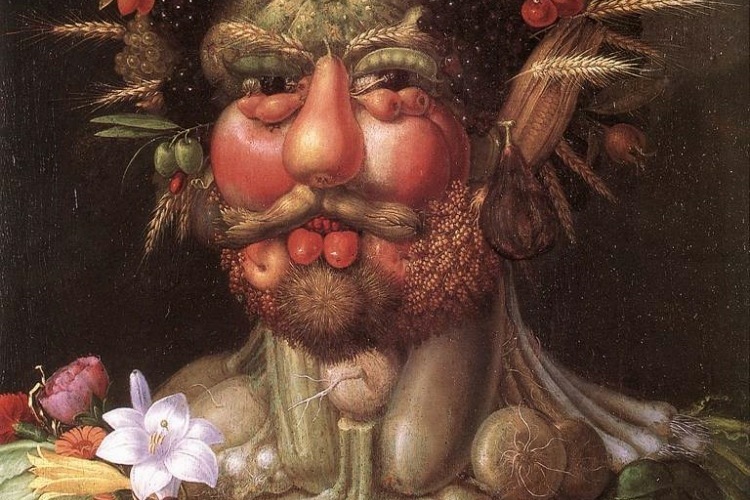 Giuseppe Arcimboldo put several objects, animals, fruits and vegetables together on his painting, giving rise to very renaissant faces. 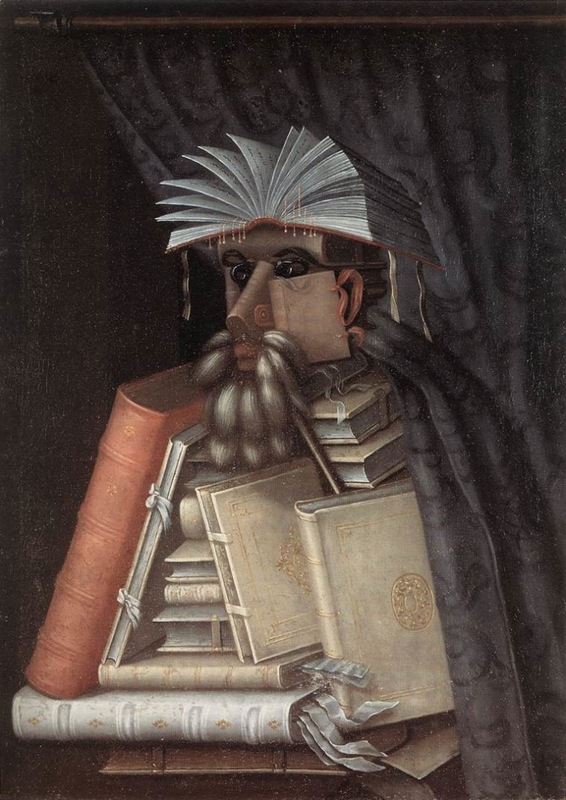 Many of us know the portraits, but we don't know who their author is. And more: we don't think that who painted those pictures lived almost 500 years ago, as they look so new-fashioned. 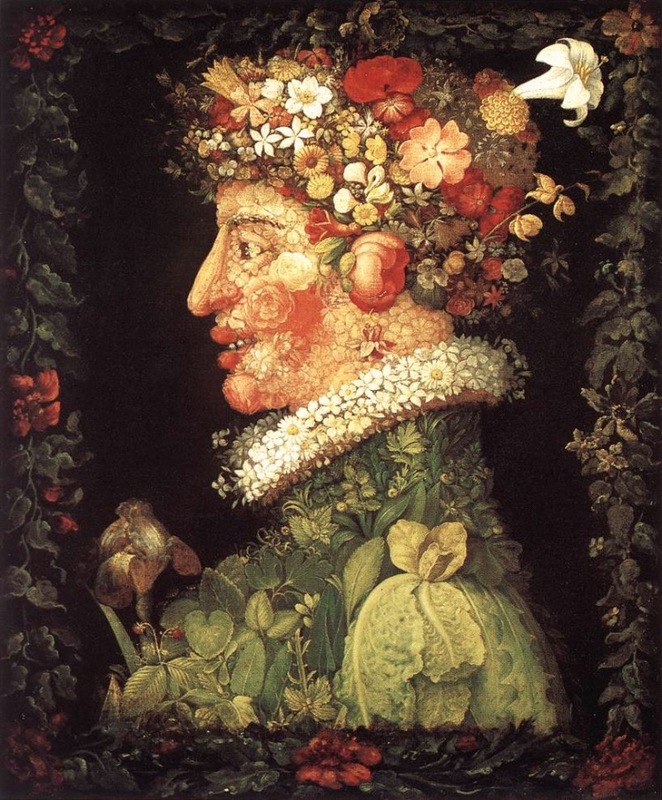 During his life, Arcimboldo was a relief painting artist -- did you know that he's the author of part of the Cathedral of Monza frescos? He also worked for many kings: Ferdinand I of Vienna, Maximilian II and Rudolf II of Prague and Augustus of Saxony were some of his clients. Besides his activity as a painter, he was also a decorator and stylist of the most prestigious courts of Europe. Even with the high quantity of traditional work he made, the pictures which survived as the History passed by, known by us in our days, are those that were "assembled" with vegetables, fruits, roots, animals and quotidian objects. 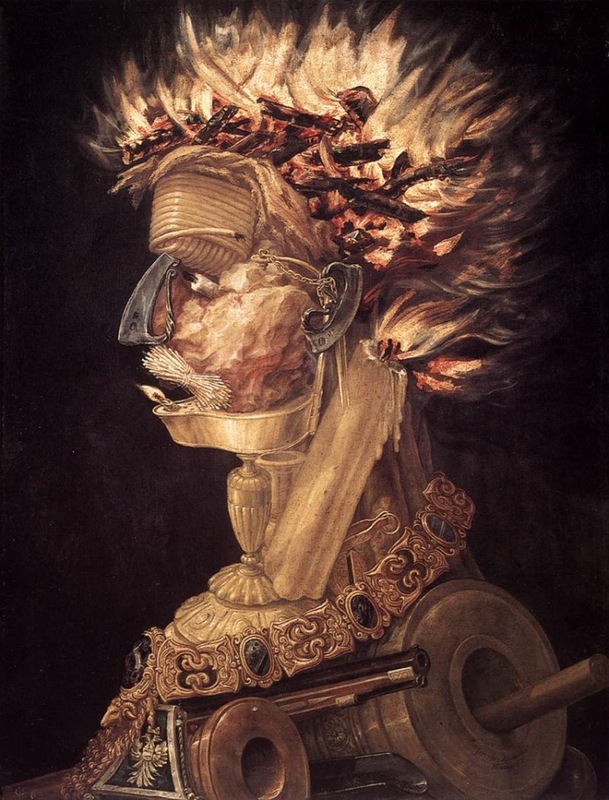 As those paintings looked strange for that time, there were art critics who thought that Arcimboldo was mentally disturbed or insane. Later, in the 20th century, his work would influence the surrealist painters, rediscovered by Salvador Dalí. 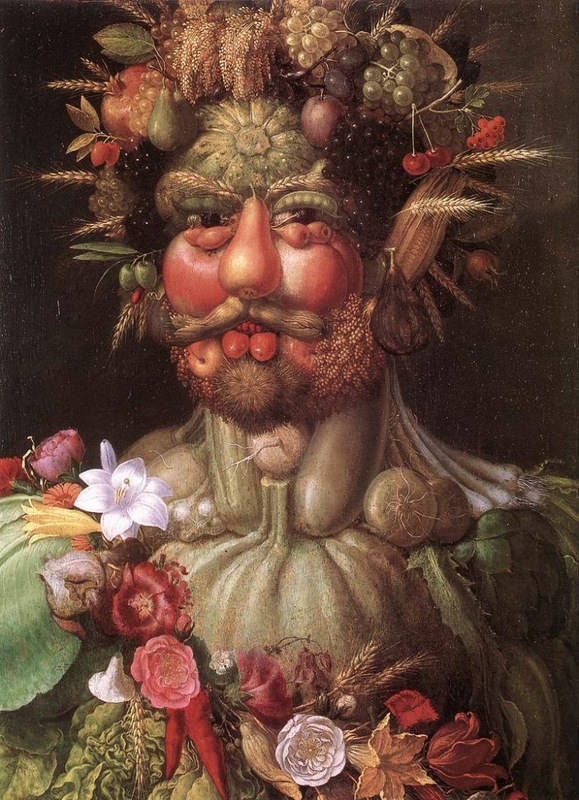 In 1987, inclusively, an exposition of surrealist painters called "The Arcimboldo Effect" was organized in Venice. Octavio Campo, Shigeo Fukuda and Sandro del Prete are other surrealist artists who admitted to be influenced by this Italian renaissancist.